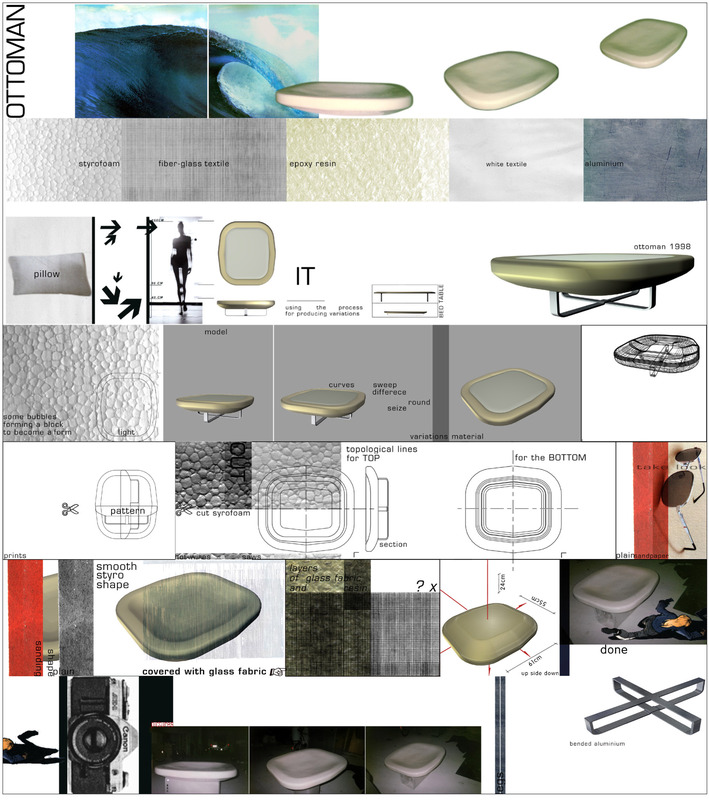 We did a design of prototype furniture, shaped out of styrofoam and covered with fibreglasss. The legs are bended aluminium. The ottoman is built similar to a surfboard, very light but enormous stable.